Often times, coffee enthusiasts grow tired of relying on shops and cafes to provide them their caffeine fix. At this point, those of us addicted to espresso will turn to at-home brewing. However, typical drip-brewers or simpler, at-home brewing options likely won’t cut it for a palate that has developed a taste for the finer things in coffee. So, where do you go from here? The answer is pretty simple: invest in a semi or super-automatic espresso machine. These guys can be a bit pricey, but they’re usually worth the investment…if you get the right one. That’s what we’re here for. Read on for a breakdown-showdown on two of the more popular brands in the automatic espresso world: Saeco and De’ Longhi. Philips Saeco S.p.A., called Saeco for short, is an Italian based manufacturing brand with a serious following. They are responsible for the production of the first ever automatic espresso machine designed specifically for domestic use. They’ve specialized in automatic espresso machines ever since. Now, their products tend to fall into a more consumer-friendly price range, making their brand a fan favorite (especially for beginner at-home baristas). 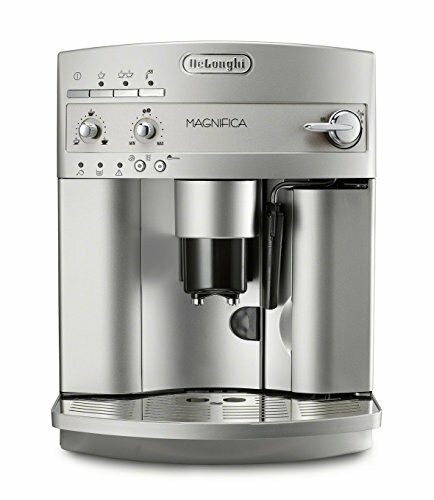 De’Longhi is also an Italian manufacturing brand, but has a much more diverse product range. The family company was founded in 1902 and initially only sold portable heaters and air conditioning units. While they may not have started in espresso machines, they certainly made a name for themselves with the limited edition Artista Series in 2008, which gained attention in even the most snobbish coffee circles. Automatic and super-automatic espresso machines are now some of their top selling products. The sleek, practiced designs of their machines comes as a result of over a century of business and can be hard to beat. 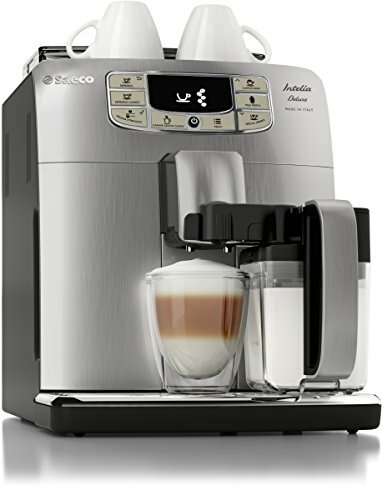 We will start off with one of Saeco’s budget-friendly espresso machines. The Poemia is a user-friendly machine that gives you enough options to suit a novice home-brewer’s needs without being overwhelming. The simplistic design keeps things simple without sacrificing too much functionality. This machine allows you to choose whether to use your favorite ground coffee or easy serving espresso (e.s.e.) pods. Also, between the 15-bar pressure pump and the stainless steel cup warmer, you are bound to get a quality cup of warm java when you power up the Poemia. The main drawbacks for this model are that it is not quite as durable as machines at higher price-points and that it does not get quite as hot as its competitors. However, Saeco products come with a pretty decent warranty, which will likely cover any faulty parts. The Dedica is De’Longhi’s price-conscious option. It features a manual frother, a three-in-one filter holder, and an adjustable drip tray. With these design choices, this compact espresso machine packs and impressive punch with plenty of brewing options. Like the Poemia, the Dedica has a 15-bar professional pressure pump, and it also includes a thermo block heating element. This means the Dedica, like most De’Longhi products, can serve you delightfully hot cups of java every time you turn it on. As long as you take care of this machine, it should serve you well. However, if you are not looking to put in the work to ensure your appliance is well taken care of, this machine might not be the best option for you. If you are honestly looking to invest in an espresso machine that will last you a long time, Saeco’s Super-Automatic Intelia is a good option. This one comes in at a higher price point than most of their models, but it’s a good model to look at if you want to get an idea of their range of possibilities. The quick heat boiler means you can brew your perfect cup in hardly any time. Also, the 5 different strength settings and 1 granularity settings mean it can adapt to pretty much any taste buds. Honestly, De’Longhi’s Magnifica might just do it all. It has 4 different espresso length levels and 5 different espresso strength levels. Coupled with the manual frother and programmable preferences feature, you can design your perfect cup. You can also choose between pre-gound and fresh beans and use the manual controls to really get into the coffee-making process if you so choose. With the stainless-steel double boiler and a reheat option, your drinks will always be just as hot as you want them. One drawback of this model is that it does need to be cleaned fairly regularly. However, due to its extractable brew unit, it only requires about half the cleaning time as other, similar machines. 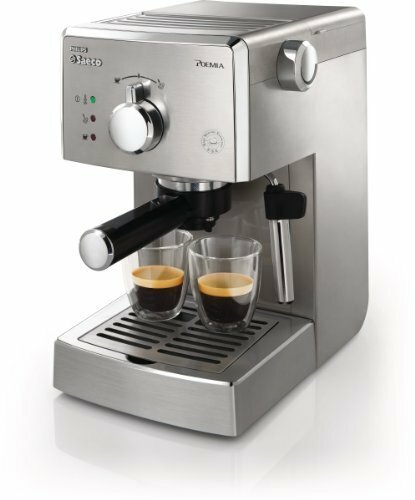 Plus, with the reasonable price-point and impressive warranty, the Magnifica is one of the best espresso machines on the market. 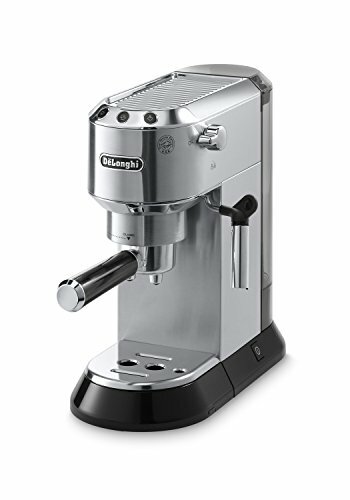 Both brands offer a wide range of price points, however, De’Longhi models tend to start lower and typically have more features than their Saeco counterparts. 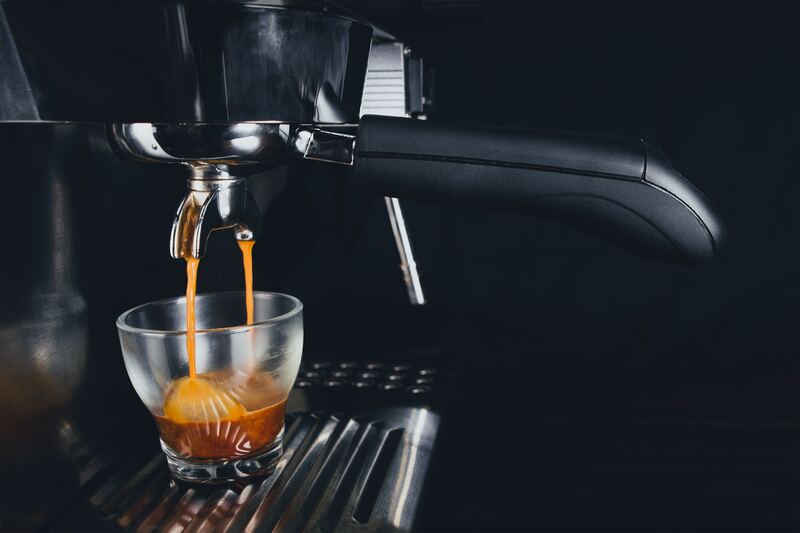 Either way, if you are a coffee fanatic that makes the trip to a local coffee shop on the regular, an espresso machine is probably worth the investment. How extensive are your brewing needs? Do you need the capability to brew everything from a simple Americano to an elaborate latte in your kitchen? If so, you’re probably going to need to save up to spring for a more expensive model. In that case, you should probably be looking at models that give you more bang for your buck, such as the De’Longhi Magnifica. However, if you just need something simple and user friendly, consider going with Saeco. There is a reason Saeco fans tend to be loyal to the brand; the machines tend to be reliable and easy, making them a great choice if you have simple coffee needs. One big consideration when it comes to selecting an at-home espresso machine is how involved you want to be in the brewing process. If you want to control everything about how long you pull the shot and the exact grind setting, you should probably be looking at semi-automatic options. However, if you are okay with sacrificing some control for convenience, then a super-automatic machine should suit your needs. Additionally, some super-automatic models have enough customization settings that you may be able to reach your perfect java anyway. To be completely honest, most reputable brands are pretty straight forward to use. Saeco and De’Longhi even have similar display symbols, making the choice all the more difficult. However, if you have already started in the at-home espresso brewing game, chances are you had a Saeco. Saeco tends to be favored for beginner brewers due to the relatively low price-point and their consistent standard that they’ve maintained over the years. However, De’Longhi now also offers pretty affordable options and simple user-interfaces. So it really just comes down to where your personal loyalties lie, because both brands can work for any experience level (though Saeco might be marginally better for real novices). While Saeco has been a cutting-edge leader in espresso machine production for a number of years, De’Longhi has effective proven itself as a worthy competitor. With a comparable price range and display style, De’Longhi’s machines usually accomplish the same things as the time-tested Saeco. And they often do it better. So if you are looking for a machine to meet you wherever your budget falls, give you exactly what you want as far as strength and temperature, and cover you with a good warranty from the get-go, you should probably look at De’Longhi. However, if you have grown to love Saeco over the years or are looking for a brand that really has simplicity and novices in mind, Saeco is still a good option for espresso appliances.